Thank you for your interest in Transfemme M to F breast enhancement pills. 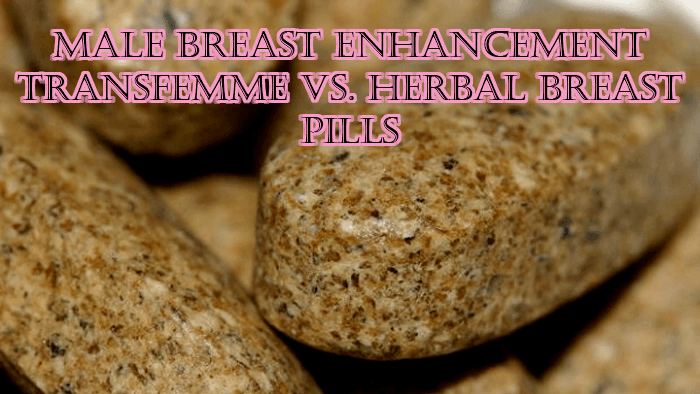 Herbal pills are just weak plant estrogen and do not cause male breast enhancement. Transfemme works in a completely different manner by aromatizing your testosterone into estrogen. The longer you use Transfemme M to F breast enhancement pills the higher your estrogen and lower your testosterone will be. Billie one of our T-girl customers in our testimonials and male breast photo gallery page was a DD cup from taking our male breast enhancement pill. Your exact cup size increase will depend on time used, genetics, number of pills used daily, your diet, starting hormone levels and body fat percentages. Everyone is different. You will also see a rounding out of your breasts and most male breast enhancement users also report larger areolae as well. `Protected Design' Copyright © 1996-2019 Avalon Essentials, LLC. All Rights Reserved. Transfemme® is a US registered Trademark of Avalon Essentials, LLC.